March 19, 2018, 1:28 p.m.
By Ken Doctor @kdoctor March 19, 2018, 1:28 p.m.
Update, 7:52 p.m.: So what led Tronc chairman Michael Ferro to suddenly “retire” today? I throw around some ideas in the piece below, published early afternoon, but it looks as if we have a definitive answer. Fortune’s Kristen Bellstrom and Beth Kowitt broke the story numerous journalists have tried to crack for several months: Two women have accused Ferro of inappropriate advances. Whispered claims of Ferro’s alleged misbehavior swirled even as then-Los Angeles Times publisher Ross Levinsohn was hit with a lengthy NPR piece on his own misbehavior over the years. Ferro and his company cleared and reinstated Levinsohn into a different position in February. That “clearing,” without any release of the findings of the outside investigator Tronc hired, may itself be newly contentious. The allegations that Fortune published Monday cast a new light on Tronc’s major news-making efforts of 2018. As reported here, Tronc sold the Los Angeles Times and San Diego Union-Tribune to investor Patrick Soon-Shiong in early February. It was deal done in a hurry: Ferro quickly made the decision to sell, found a buyer in Soon-Shiong, and got the deal essentially done in three days, with little due diligence. In fact, Ferro knew he had a deadline, with journalistic bloodhounds on this trail. The fact that he was able to sell — at $500 million, perhaps twice the southern California newspapers’ market value — was just icing on the cake. He’d beaten two clocks. One: Publication of sexual harassment allegations. Two: Tronc full-year 2017 financials, which, on the heels of a poorly executed conference call with analysts, submerged Tronc share prices by as much as 30 percent. What’s next? 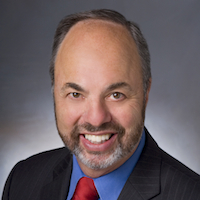 While Ferro is gone, his closest business partner of more than a decade, Dearborn, adds the chairman title to his CEO one. Ferro’s Merrick Media continues to own the largest percentage of the company, at 28 percent; the Ferro-appointed board is still in place, and Merrick continues to get that contentious $5 million a year in consulting money. So one must ask: Is this a retirement in name only? Certainly, Ferro understands that such charges against a sitting chairman may well be damaging to the business, even before the necessary calculation that more accusers could come forward, if recent #MeToo cases are any guide. In that light, Ferro’s “departure” could make a difference in Tronc’s strategic plans — or not. My original piece from earlier today is left below. Is the Tronc party over? Justin Dearborn, Tronc’s CEO and Ferro’s long-time business partner, moves into the chairman position, while remaining CEO. “Michael retires having created considerable shareholder value for the company in just two years as chairman of the board,” said Dearborn. The closing of the Times sale provides one rationale for the unexpected move. But the 30 percent drop in Tronc’s share price two weeks ago — from which it has recovered only a little — may offer another. So far today, the stocktrnc has barely moved on the news, with investors probably scratching their heads along with everyone else. But Tronc’s big haircut — trading at $15.92 this afternoon, down from a 52-week high of $24.74 — may tell us more. Tronc’s own financial position has seen a reckoning, and that in itself may lead to further deal-making. In an industry in which cost consolidation remains the driving strategy, might we see a renewed bid to combine Tronc’s remaining eight properties with Gannett? Scale is the name of the game, and the resulting combination would be by far the biggest player, by revenue, in the industry — and a further prelude to more consolidation. As I’ve written, there are significant financial hurdles to such a combination. But the removal — on paper at least — of Ferro as a participant might make that deal-making between Gannett and Tronc easier. Gannett CEO Bob Dickey has said he would no longer deal with Ferro. Perhaps Dearborn and Ferro are serving as good guy/bad guy as a negotiating tactic. Or consider another idea Ferro has discussed with associates over the past year: taking Tronc private. Today, with that share price haircut, such a buyout would be more affordable. Would Ferro have to disclose such an interest? Probably, and traditionally, though Tronc’s unorthodox governance has raised eyebrows for a couple of years. In August 2013, Michael Ferro announced he was resigning as chairman of Merge Healthcare, as he considered “taking the company private.” Two years later, IBM bought Merge for $1 billion, providing Ferro and his business partners a big payday. During that time period, Merge’s CEO was…Justin Dearborn. Of course, Tronc could continue on its announced strategic path, the latest in a series. As the company both works to make a new digital push in its newsrooms and to assemble a bigger Tribune Interactive syndication strategy, Tronc has hired several well-respected executives. It could be that Tronc post-Ferro will become a more traditional operating company, actually more focused on improving its content and products than on deal-making. But that may be a hard bet to make. The L.A. Times may be ready to escape Tronc orbit, but the sightings of Michael Ferro are unlikely to go with it. POSTED March 19, 2018, 1:28 p.m. Doctor, Ken. "Newsonomics: “Retiring” from Tronc, what is Michael Ferro up to?." Nieman Journalism Lab. Nieman Foundation for Journalism at Harvard, 19 Mar. 2018. Web. 18 Apr. 2019. Doctor, Ken. "Newsonomics: “Retiring” from Tronc, what is Michael Ferro up to?." Nieman Journalism Lab. Last modified March 19, 2018. 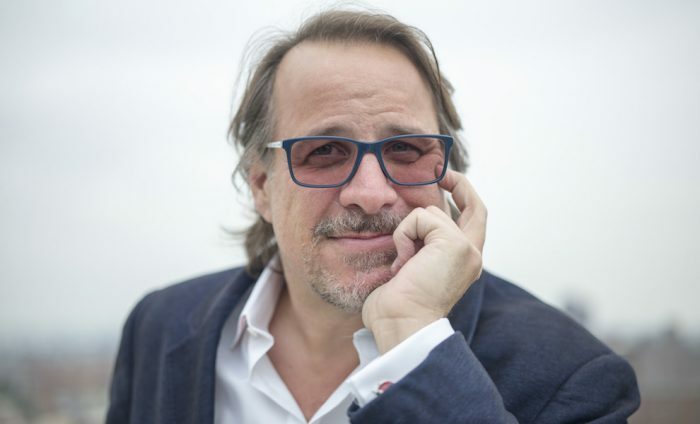 Accessed April 18, 2019. https://www.niemanlab.org/2018/03/newsonomics-retiring-from-tronc-what-is-michael-ferro-up-to/. | title = Newsonomics: “Retiring” from Tronc, what is Michael Ferro up to?